How can I get notifications about new posts in my browser? Browser notifications 🚩 help you stay on top of new, incoming posts. 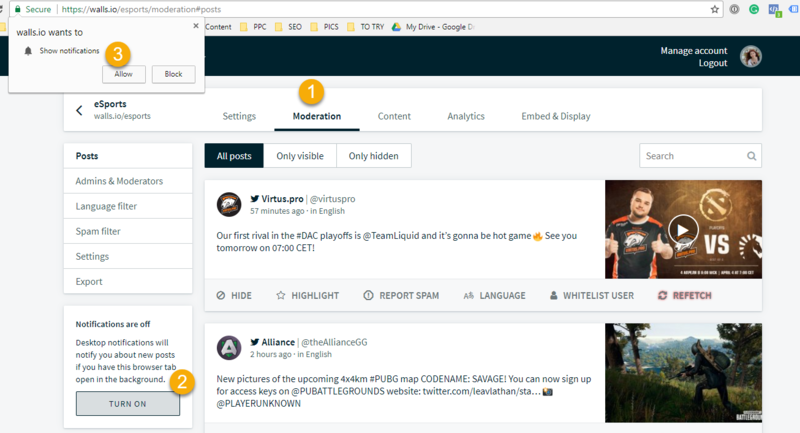 This comes handy in both automatic and manual moderation – enabling this feature and moderating new posts is just one click away. Click on "Allow" in the browser notification window.